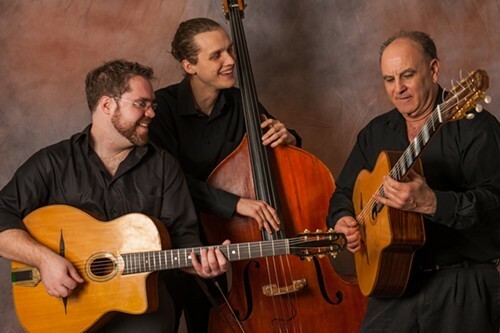 Our Hudson Valley summer is about to get even hotter: This weekend, the acclaimed gypsy jazz trio Ameranouche will visit the region for sweltering performances at the Rosendale Cafe and Catskill Distilling Company. Ameranouche will play at the Rosendale Cafe in Rosendale, New York, on July 29 at 8pm. Admission is $10. For information, call (845) 658-9048 or visit http://www.rosendalecafe.com/. The group will play at Catskill Distilling Company in Bethel, New York, on July 30 at 4pm. Admission is $10. For information, call (845) 583-3141 or visit http://www.catskilldistillingcompany.com/.